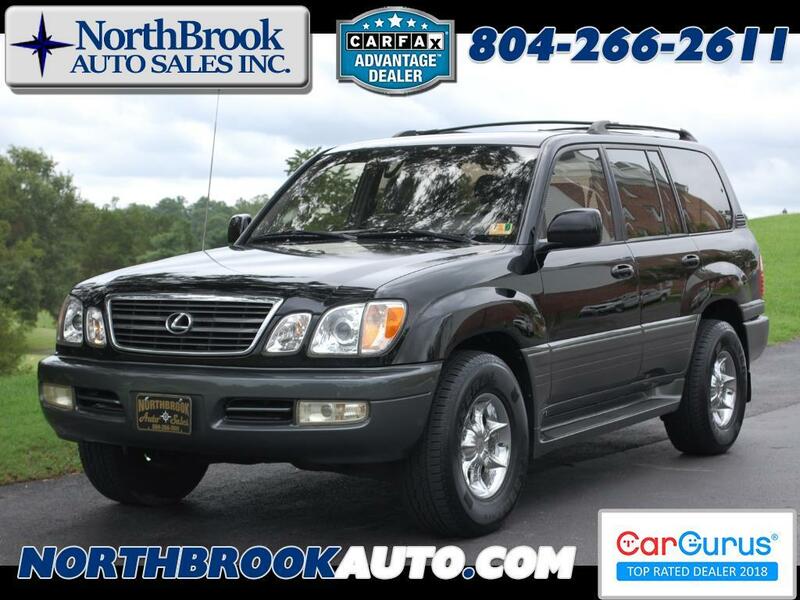 Used 1999 Lexus LX 470 Luxury SUV 4dr SUV for Sale in Richmond VA 23060 NorthBrook Auto Sales Inc. This unit was a trade in, it runs very well too. This is priced very competitively to reflect it's overall cosmetic condition for a 20 year old classic automobile. Please note the exterior imperfections in the paint, and the sunroof is inoperable. Brand new factory mats, clean interior, and runs and drives like a Lexus! Message: Thought you might be interested in this 1999 Lexus LX 470 Luxury SUV.